This Ultimate Guide for China WFOE Formation in 2018 is designed to resolve any doubts you may have in setting up your business in China. China WOFE is the type of company foreign friends are most eager to know before they set sail their business in China, whether you are inGuangzhou, Shenzhen, Foshan, Shanghai, Yiwu or any other city in China. 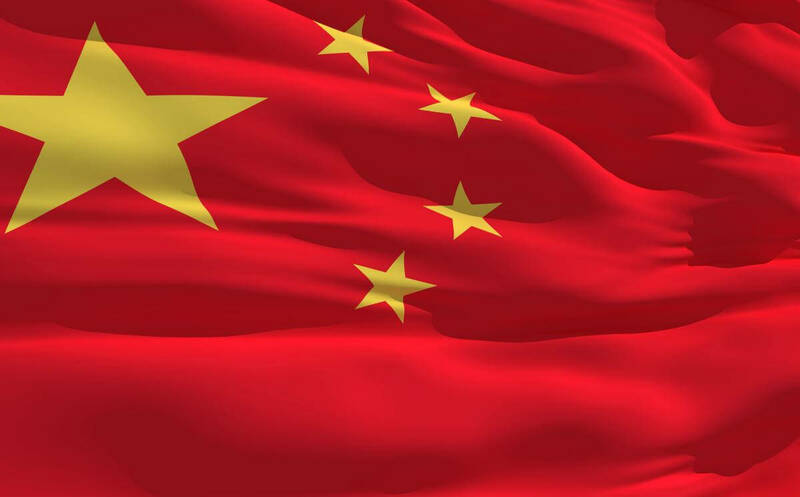 New friends who start to carry out business in China are always highly encouraged to start WFOEs by their peers who have had Chinese entity registration experience. Why? 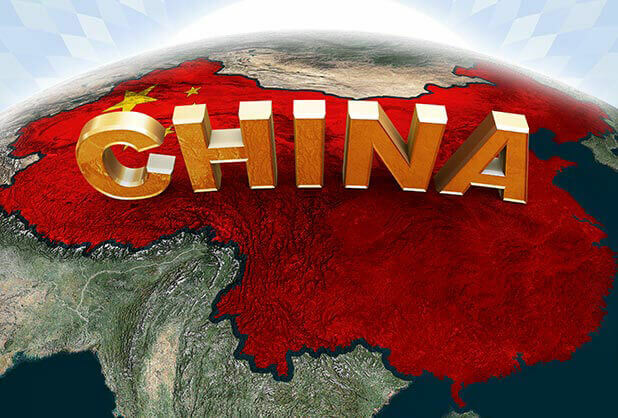 Today Business China will give you a detailed explanation via this guide. What is a China WFOE? What are the main categories of a China WFOE? Which industries are suitable and which fields are unbefitting for a WFOE registration? Why does everyone recommend you to set up a WOFE in China? What ubiquitous advantages does a WOFE have? What are the advantages and disadvantages of a WFOE when compared with other types of companies? What’s the impact of the newly issued rules on the coming WFOE registration? How will previously registered companies be affected by the new rules? A China Wholly Foreign Owned Enterprise is a limited company with shares entirely possessed by foreign investor(s). It is also known as a LLC, wholly owned by foreign investor(s) in China. In other words, foreign investors can generally be subdivided into foreign individual(s), foreign companies, Hong Kong companies, andMacao companies. These foreign identities can register their limited liability company in China without the interface of their counterparts in China. In short, foreign friends can roll up their sleeves and chase their business dreams directly in China. China WFOE is applicable to almost all industries, except some industries monopolized by the state. For example, no foreign investor is allowed to invest in the geodetic surveying or marine charting filed in China. China WFOE types, to some extent, indicate the major business products and categories of the specific industry. Let me further explain here. 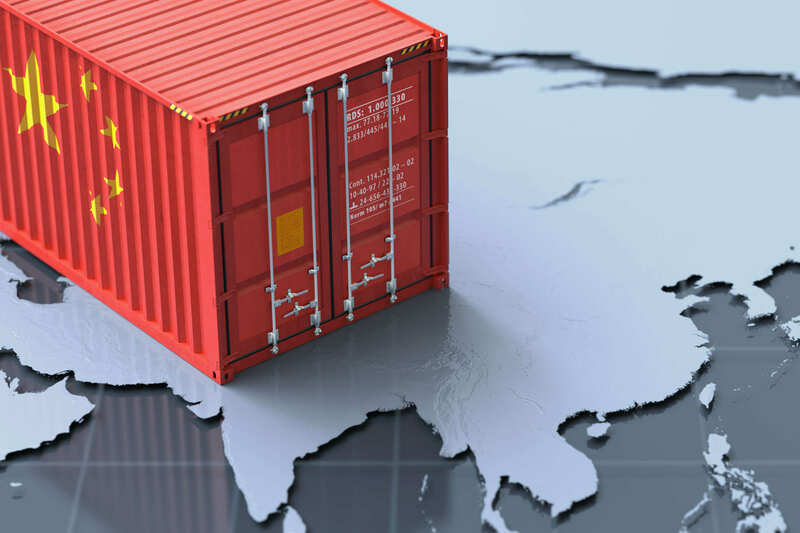 For example, a China Trading WFOE can import and export franchise brands, distribute products inside of China, open an E-commerce store, apply for export tax refunds, and deliver related consultation services. 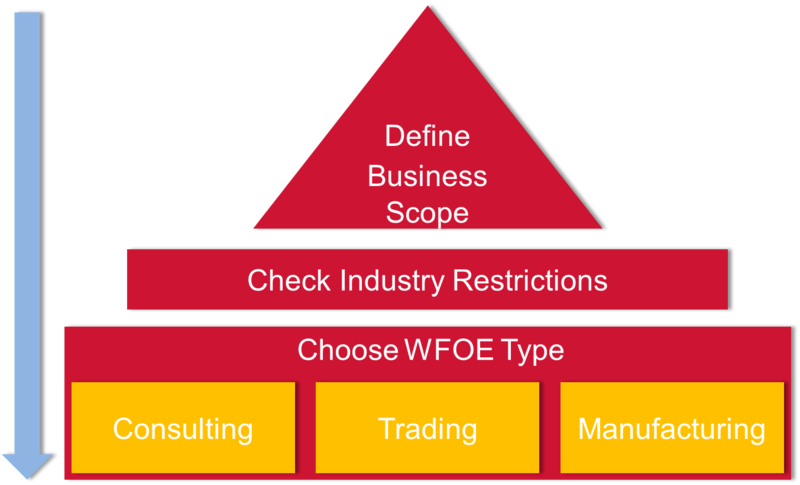 A China Consulting/Service WFOE could cover many diversified consultation fields, such as management consulting, engineering consulting, technical advisory, education consulting, technology consulting, headhunting service, and training service…etc. A China Technology WFOE could conduct technical development, consultation, and transfer…etc. China WFOE can be applied in most industries, but not all, owning largely to the state protective policy or national security consideration. For example, the construction and operation of trunk railway networks must be controlled by the Chinese parties. Railway passenger transport companies are restricted in investment access and must be controlled by the Chinese parties. Here we will compare some other business types that sounds familiar but are indistinguishable when contrasted with China WFOE. Let’s say, if your business strategy in China just covers market survey, technology communication, and other indirect business activities, then a Representative Office is a more suitable option in your case. A Joint Venture may be right for you if you want to be jointly invested with your Chinese partner (he must own one Chinese company) so as to obtain rapid access to the Chinese market with resource sharing or expand the scale of enterprises with the acquisition of joint venture (JV) funds. If you want to acquire the intangible assets of a JV (such as brand, etc.) and marketing channels, then a Joint Venture in china is also the right choice for your business. The highlights of a China WOFE registry: No registered capital, No office rented, & No need to come to China to physically start it. Jason, who is one of our clients who specializes in TCM treatment services from Australia, wanted to set up a TCM clinic with consultation, allied therapies, and natural medicine somewhere in China. He targets clients from overseas for holidays and consultations, and does the same for Chinese clients. He finally chose the Boao Lecheng ‘International Medical Tourism Pilot Zone’ to initiate his Chinese dream. A representative of Hainan Investment asked him to register a WFOE in China in order to lease premises or buy land for development in the future. For example, he plans to have a medical tourism retreat center. So, he needed help to register his company as a wholly owned foreign entity along with the overall package they need to operate annually. He finally decided to set up a Guangzhou Medical Consulting WFOE in the Guangzhou Free Trade Zone together with his partner, Marco. In other words, the China WFOE is owned by two Australian individuals. They can either come to Guangzhou with their original passports and stay here for around 5 working days to finish all the required file signing and passport checking procedures, or they can skip the trip to come to China by using a courier to send their passport notarization paper and original passports. 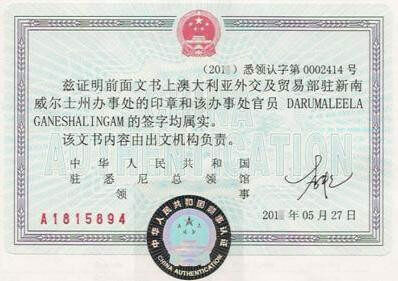 When you finish the notary, you will see the notary stamp given by the Chinese embassy, just like below. The logic behind the foreign identity authentication is because the Chinese government bureau cannot check the identification details of overseas companies and individuals directly. Documents issued in foreign countries to be used in mainland China shall first be notarized and legalized by the competent authorities in that country, and then be legalized by Chinese Embassies or Consulates in that country. To ensure you can get the most updated information for the passport notary, please check consular service on the website of the Embassy of the People's Republic of China in Australia. We have also attached the website for you to check. Then, we attach our China WFOE Application Form to collect the required information to start drafting the legitimate documents. Afterwards, we will send by DHL to him and his partner to sign. Then we could start the setup right away. Simply put, a China WFOE can be registered Quick & Hassle-Free for clients based across the world. This sounds familiar to most foreign friends since the business scope is not so clearly stated in the west or Hong Kong. China WFOE’s licenses and China WFOE articles of association stipulate the business scope in details to specify the products and scope of services you can provide via this China entity. More importantly, Chinese WFOE is connected with an invoice (Fapiao in Chinese). China adopts the system of “control tax-collection by invoices”. In other words, china controls tax payment by means of tracking official invoices. China invoices (Fapiao) have the same templates and must apply from the tax bureau. For example, if you do clothing sales via a China trading WFOE, combined with other business activities, but you did not group clothing sales into your business scope at the initial stage, then you will have a big headache when your clients ask for an invoice, because it is not part of your present business scope. So, you would need to spend at least 20-30 working days to do an alteration of your business scope, and maybe even longer for some industries. Medical device Industry: Medical Device Operating Permit/Medical Device Production License/Class i, Class ii, Class iii Medical Device Registration, Filing, etc. Let’s take a Trading WFOE for instance. Before you conduct any substantial import and export activities, you are required to register your company as an import & export right eligible company in the customs’ database. Furthermore, General VAT Payer (“GVP”) is a key qualification for all trading companies in China, which allows the company to credit its input VAT against output VAT. For a newly established company, it is strongly recommended to apply for this status right away after it’s establishment. In addition, before any substantial export tax refund application activities, you are required to register your company as an export tax refund eligible company in the tax authorities’ database and fix your export tax refund calculation method. For most WFOE types, paid-in capital is no longer a part of business registration. When the company is registered, no capital verificationreport is required either. 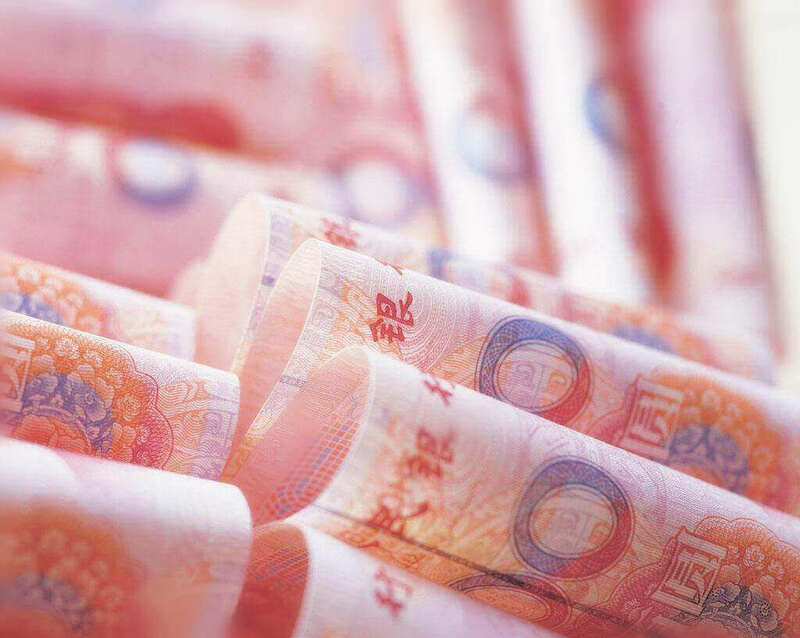 Due to the low stamp duty rate of 0.5‰ for capital injection, many foreign friends are willing to put a large figure as the registered capital so they could draw financing into China efficiently and at a low cost for business operation. For example, for the registered capital reaches USD 200,000, the stamp tax involved is less than RMB1000. A China WFOE formation does requires one office address to register. Many licensed firms like us can provide a registered address for your company formed in China. You can just leave the hassle of leasing an office in China to us. But, we do have some friends who plan to rent an office in China based on their business plan. Let me explain further about how to lease an office in China and the document required for company formation. First, you will need to find an office space in China via a different channel, either by real estate agency or the landlord directly. Then, please remember to check the “usage of the property” on the property certificates to make sure it can be used for office usage and whether theformer user of this office address has been relocated. Otherwise, you may face the risk of wasting money on an unusable address. The shareholder of a WFOE in China can be subdivided into a foreign individual(s), foreign company, Hong Kong company, or Macao company, generally. Foreign friends can save the trip to China by doing the consular authentication at a Chinese embassy overseas. For the passport checking, they can courier their passport to China. Fourth, decide the candidates for supervisor or the board of supervisors, managing director or the board of directors, general manager or manager, and deputy manager. Income taxes include Corporate Income Tax and Individual Income Tax. These taxes are levied on the basis of the profits gained by producers or dealers, or the income earned by individuals. Individual Income Taxes range from 5% to 45%, based on salary income, exceeding more than RMB3500 for local staff and RMB 4800 for expatriate staff. The corporate income tax rate is fixed at 25%, based on the net profit. Turnover taxes include Value-Added Tax and Consumption Tax. The levy of these taxes is normally based on the volume of turnover or sales of the taxpayers in the manufacturing, circulation, or service sectors. The tax rates for VAT are 17%, 13%,11% ,6%, 3% and 0, depending on different industries and tax payer status. Customs Duties are imposed on all goods and articles imported into and exported out of the territory of the People's Republic of China. The customs duty must be paid at the time of import and export. Property and behavior taxes include Land Appreciation Tax, Real Estate Tax, Urban and Township Land Use Tax, Arable Land Use Tax, Deed Tax, Resources Tax, Vehicle and Vessel Tax, Stamp Duty, Urban Maintenance and Construction Tax, Tobacco Tax, and Vessel Tonnage Tax. All taxes need to be filed at the time when there is an actual transaction incurred. Monthly returns: Individual income taxes and turnover taxes are filed on a monthly basis and the tax payments are normally settled by the 15th day of each month, following the date of the receipt of income. In practice, the monthly tax return filing date might change due to public holidays or a change of location. Quarterly returns: Corporate income tax returns are filed on a quarterly basis, following the 15th day of the month. From the year of 2015 to the end of 2017, China brings out the business license reform by combing five certificates i.e. business license, organization code certificate, tax registration certificate, social security registration certificate, and the statistical registration certificate into one WFOE business license with Unicode. From the date of Jan 1st 2018, all licenses haven’t been combined will be expired and cannot be used further. With rocket like growth of the numbers of china enterprises and foreign enterprises set up in China, China enhances supervision by adopting an enterprise credit system created in 2014. If the company does not submit an annual report or deliver tax and accounting compliance on time, according to the interim regulations on enterprise information disclosure (hereinafter referred to as the "regulations"), enterprises with overdue annual reports will be listed on the Enterprise Operation Abnormal List. Enterprises and legal representatives listed on the enterprise operation abnormal list will be subject to various restrictions as listed below. Legal representative can't buy air tickets nor high-speed rail tickets, and cannot take the position of legal representative of other corporations in China. Inability to apply for loan or even visas. Negatively impact your life in China, such as school admission application for children, social security registration, governmental bidding, fail to open securities account, big hurdle when seek business or personal development. What's the Impact of the Newly Issued Rules on the Coming WFOE Registration? On a macro level, the two reforms did ease the procedures, the threshold for setting up a company in China, and does simplify the supervision after the corporation is established. To some extent, it brings more vitality to foreign investment coming to China. Yes. All registered companies and newly incorporated corporations are all managed by the new rules.